Winston Peters is no stranger to coalition negotiations – and the situation he finds himself in has not arisen by accident. It is instead the planned outcome of a deliberate strategy to position his New Zealand First party, in an MMP environment, as likely to hold the balance of power in the event that neither of the two biggest parties commands a majority of seats in parliament. So successful has this strategy been that he has become accustomed to being courted by suitors, and to extracting from the main rivals for his hand the best deal he can get – both for himself and his voters. He is under no illusion that his charm or good looks are the lure; it is rather the dowry – in this case, nine MPs – that he can bring to the agreed arrangement. I suggest that this time, however, it may not be only the numbers that matter. For Jacinda Ardern, intent on building on her success in denying a majority to National by forming instead a Labour-led government, Winston may have more to offer than simply making up the necessary majority. It is not just that a relatively inexperienced Prime Minister, heading a party that has been out of government for nine years, might welcome someone of Winston’s experience and political savvy. Winston could in addition bring to a new government – one committed to a change of direction and an uplift in the energy needed to deal with our obvious and many problems – some policy perspectives that could be very helpful, and some potential ministers of real ability. First, he already takes a position very close to Labour’s on those issues that are the legacy of mishandling or neglect after nine years of National government. His reinforcement of Labour’s proposed remedies for those problems would certainly help to bring solutions closer. And he would help to identify others that need attention, such as the neglect of our manufacturing base. There are two further issues (and no doubt more), not at present high on Labour’s agenda, where his political experience and independent view could strengthen the performance of a new government. The first is the difficult question of how to take the maximum advantage from our increasingly close economic relationship with China, without in effect being absorbed into the greater Chinese economy. That can only be achieved if we have a clear understanding of what is actually happening and recognise the full implications of each new step that is taken. The National government has shown little concern for or understanding of this issue. Their links with Chinese interests, both as individuals and as a political party, have induced them to applaud the upsides while closing their eyes to the actual and potential downsides. Winston will not be so starry-eyed; he knows that the maintenance of some semblance of sovereignty and independence is not an ignoble goal. The greater realism he could bring to a new government on this issue would be of considerable value. Even more positively – Winston seems to have a more up-to-date understanding than most of recent developments in modern monetary policy and theory. 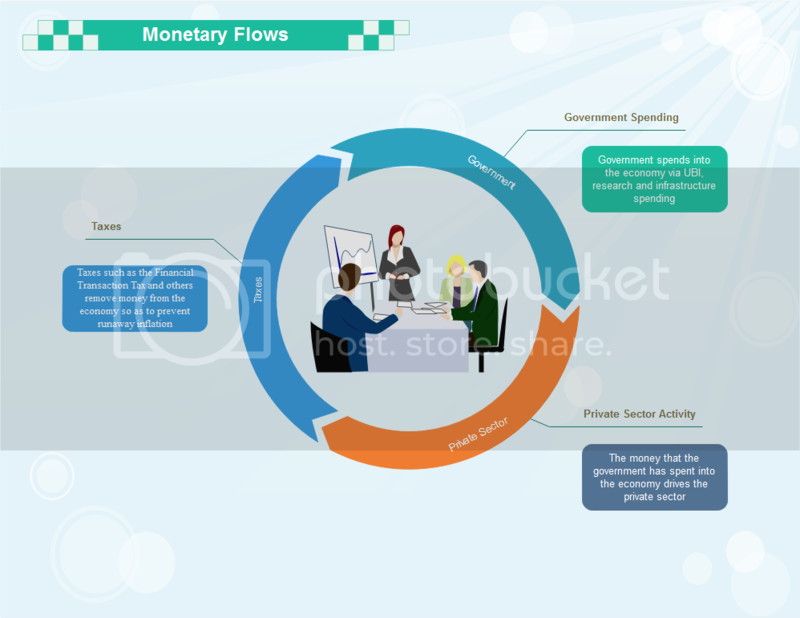 The widespread use, post the Global Financial Crisis, of “quantitative easing” to bail out the banks has removed some of the mistaken phobias concerning an obvious (and Keynes-endorsed) tool for funding productive investment and stimulating economic activity. Why, forward-looking observers ask, should government-created new money be reserved for bailing out the banks? Why not use it for other purposes – like new infrastructure projects – that serve public and not just private banking interests? Paradoxically, perhaps, Winston may be more likely than today’s Labour party to recall the successful precedent set by Michael Joseph Savage’s government in the 1930s, when thousands of state houses were built to house the homeless, using money created by that government for that purpose. Thinking of this kind could revolutionise the prospects of a new government and usher in a new era of a stronger and more integrated society and a more securely based economy. If the instincts of a new Labour government were encouraged and their implementation facilitated by an experienced campaigner like Winston Peters, the future prospects of both Labour and New Zealand First would be greatly enhanced – so too, the prospects for the country. Or, even more off the beaten path, why not use government created money spent into the economy to ‘fund’ the economy rather than having the private banks creating the money. Under that circumstance, a UBI becomes not only becomes affordable – it becomes necessary. Do that and money then has a virtuous cycle to it. Government money to fund the economy, taxes to draw the money out of the system so as to prevent excessive inflation. Interest rates at 0%. Yes, once people realise that shortage of money need never be a problem for a government, then many new avenues open up. government economist – told him I’m a Social Crediter and why I had studied the RBNZ credit “facility” of $5 billion to the major banks to help them through their liquidity crisis a decade ago. ( a problem shared by central banks elsewhere – “solved” by quantitative easing). I asked him why the RBNZ could credit-fund off-shore banks yet did not do the same for our public sector infrastructures and essential utilities. He nodded in agreement. “Why not?” he said. And he confirmed my observation that there is no law of the land which actually prescribes that the government must borrow only from the private financial sector. 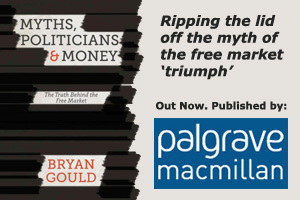 Just want to say a huge thank you and well done to you Bryan for being the 1st UK political figure – albeit one who has since went back to his homeland – I’ve ever heard mentioning Modern Monetary Theory. PS Guess you already know that MMT economist Prof. Stephanie Kelton was Bernie Sanders chief economic advisor during his presidential campaign.